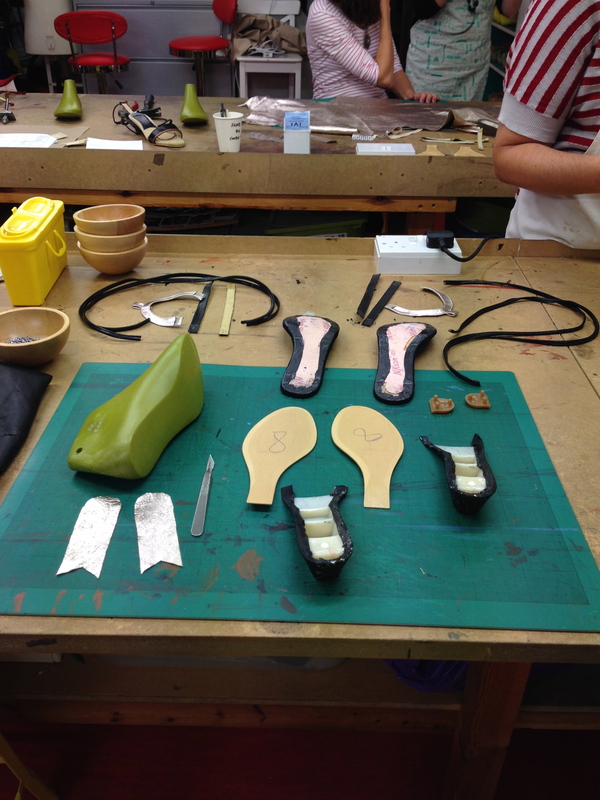 Last August I was thrilled to take my first shoe-making workshop, a one-day sandal making class offered by Prescott & Mackay in London. I arrived bright and early to the shop and joined 3 other women for the workshop. In 6 hours, I’d have a pair of sandals! We started with a bit of an overview of the day and the process. We were shown some completed sandals that all in all were a bit disappointing, but I was not going to let that stop me. If making a boring sandal was what I had to do, that is what I would do. 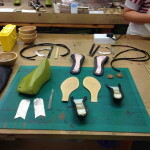 After all, I was there to learn how to MAKE the sandal, not DESIGN the sandal. All the parts about to come together. 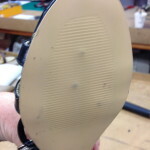 We were shown our shoe components and then headed downstairs to the workshop. There we saw some pre-made straps and cords we could use. The straps require some preparation, so that part was completed for us. It would have been too much to do in the 6 hour time frame. 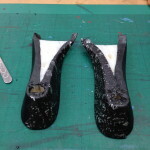 There were straps of various widths that could go over the foot, around the heel and up the back. Colors were right up my alley, red, pewter metallic and black. Half all black and half pewter and black with a zig-zag join. The pewter and black is the surprise inside. Our first task was to find materials to cover our wedges. There was a big bin of left over leathers and the 4 of us dug through. This was a very interesting part of the process. Three of us took a bit of time and gave each other feedback as we made our choices. I really enjoyed this back and forth as it added a design element to the experience. Shocking, I know – I settled for a black leather with pewter print. Of course I didn’t need another pair of black sandals, but I knew I’d wear black and pewter sandals and not the brown and ivory that I had also selected. 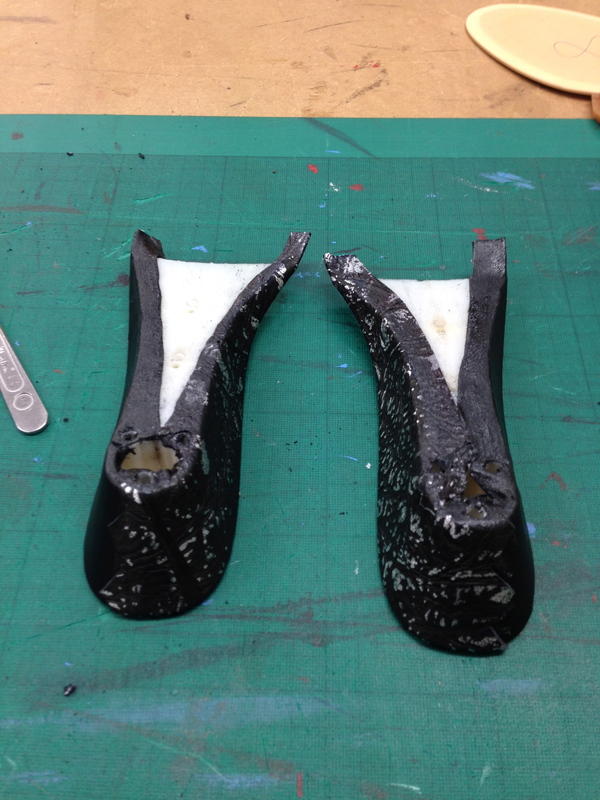 We worked through the process step by step, cutting leather with a scalpel, gluing components, pressing the shoes. There were more design decisions to make along the way. OOPS – I left the tacks in! My instructor got them out and says I should use it for my lable. It was a great day and while the shoes are a bit large and I did make a few mistakes. I left the tacks in one of my sandals before pressing them. 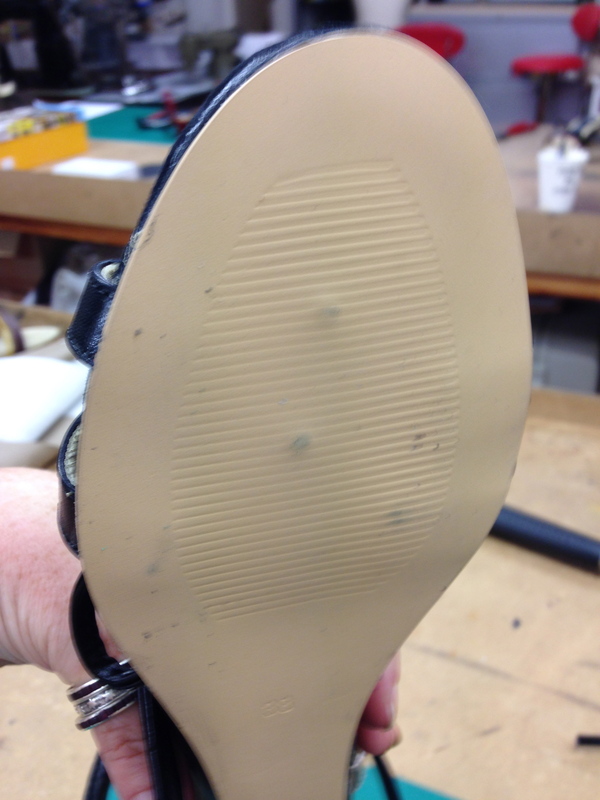 Luckily Melissa, my instructor, was able to pull them out through the insole. She says I should use the 2 dots as part of my brand. 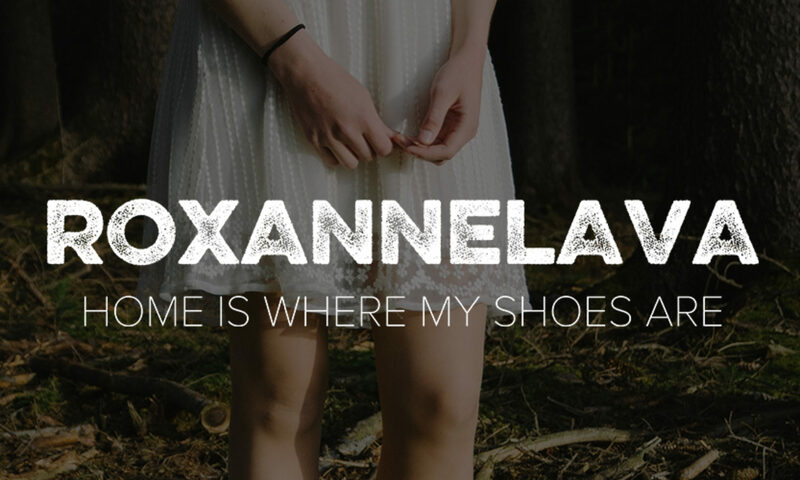 I am proud of what I made and I wear them. It was also wonderful to see the breadth of shoes from three of the four of us. Each has a different aesthetic and every pair would work in a high end retailer.